Plastic film+wood / metal pallet or carton box. 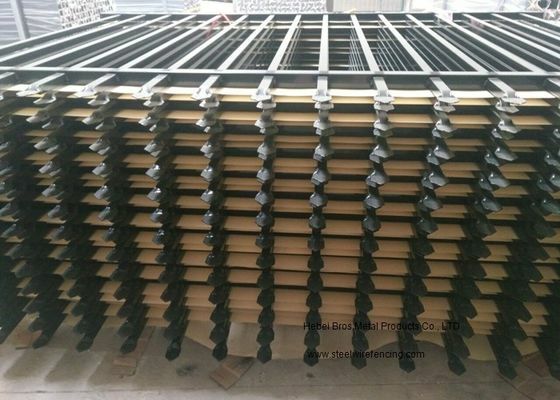 Zinc Steel fence materials and workmanship are guaranteed under normal usage against structural defects in the framework of posts, rails, pickets and brackets for a period of 20 years. The galvanized and powder coat finish is warranted against chipping, corrosion or blistering for a period of up to 20 years. Eco friendly,corrosion resistence,impact resistence,long service life ,beautiful and generous,is the boutique of the guardrail. Widely used in municipal engineering, road, square, enterprises and institutions and many other fields of safety protection and decoration.A variety of colors, it has the character of beauty and can play the role of protection. Widely used in villas, community, gardens, schools, factories and other flower beds, lawns, industrial and mining enterprises, financial institutions, sports stadiums, convention centers, squares, roads, balconies, residential. Bubble Film inside, woven bag outside.Pack them to Steel pallet if pallet packing is required by clients. 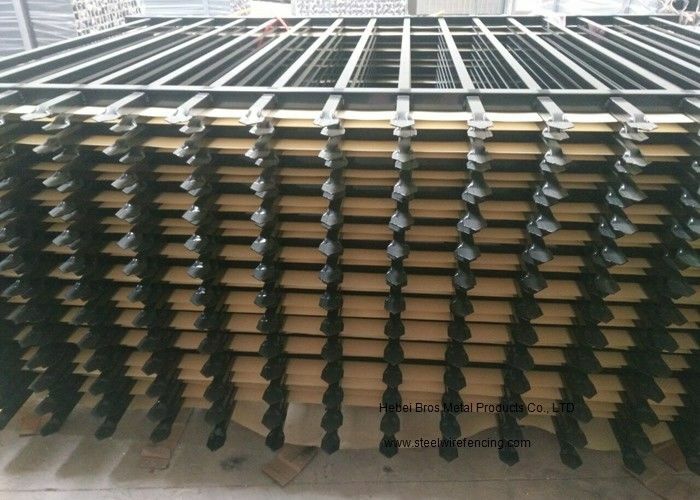 Posts for ornamental iron fence Panels are attached with high-strength steel brackets to galvanized and powder-coated square tubular steel posts. Gates for ornamental iron fence Choose from the widest available range of gate offerings, including opening configurations: Swing, Slide or Cantilever. Coating Panels and gates feature a unique Architectural Grade Powder Coat. This coating, used exclusively by US, is super-durable and environmentally sound. This powder coating provides three times the U.V. protection and 50% greater salt spray resistance than other standard coatings - including E-Coat. Colors That is available standard with black coating. Additional colors, including custom matches, are available. 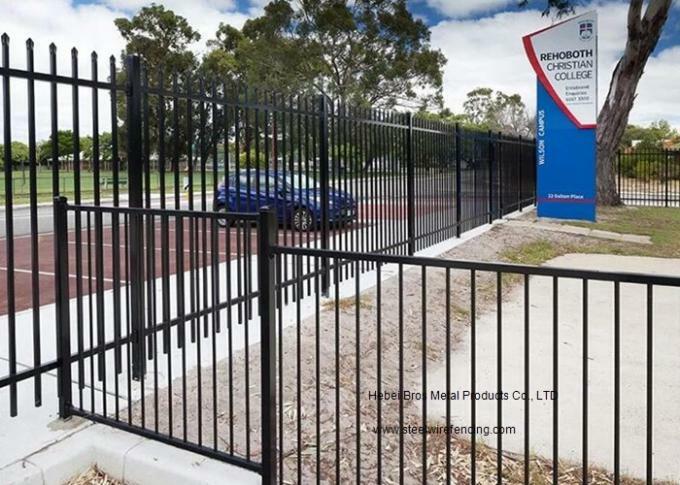 Warranty The fence panel is backed by a 20-Year Manufacturer’s Warranty, giving you the peace of mind that the world’s leading producer of fencing stands behind this product.